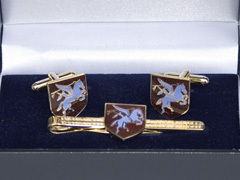 Boxed gift set for the Royal Scots Dragoon Guards. 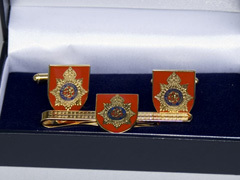 Enameled type finish, Supplied in display gift box. 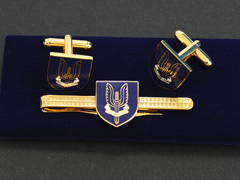 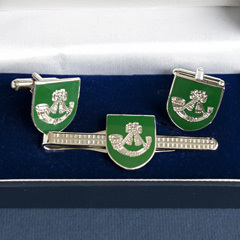 Boxed cufflink and tie slide set for the Army Catering Corps. 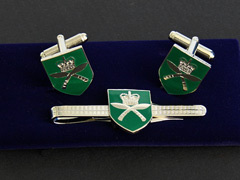 Gurkhas boxed gift set, with green shield design cufflinks and tie slide (tie pin). 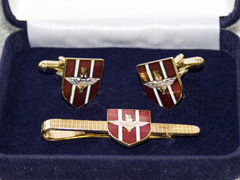 motto is - septem juncta in uno. 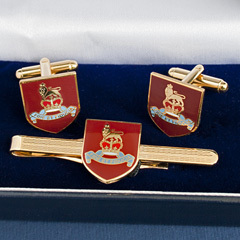 The Guards Division comprises 5 Regiments, whose RHQs are all co-located in London. 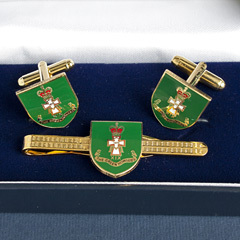 They are Grenadier, Coldstream, Scots, Irish and Welsh Guards. 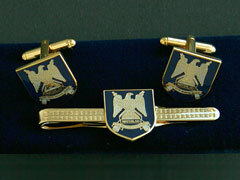 motto is - QUIS SEPARABIT - MDCCLXXXIII (WHO SHALL SEPARATE US - 1873). 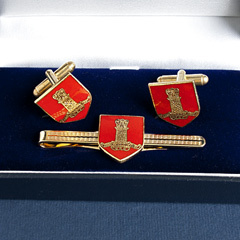 The Irish Guards is a Light Role Infantry Battalion. 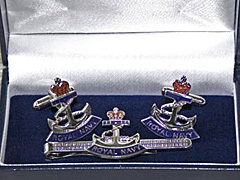 MN and Rope. 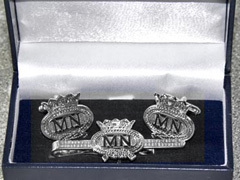 MN, M.N. 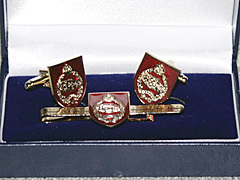 Merchant Navy red ensign flag boxed gift set of cufflinks and tie slide (tie pin) MN, M.N. 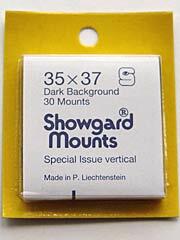 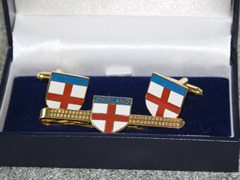 Ensigns are usually required to be flown when entering and leaving harbour and when sailing through foreign waters. 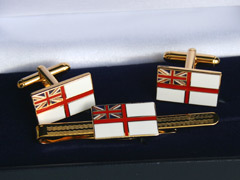 Worn by all British registered merchant ships. 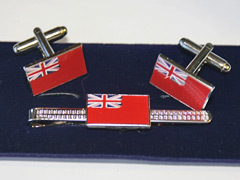 Merchant ships under charter to the Navy usually continue to fly the Red Ensign. 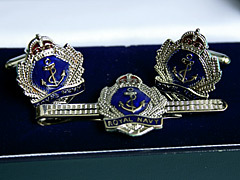 Enameled type finish, Supplied in display gift box. 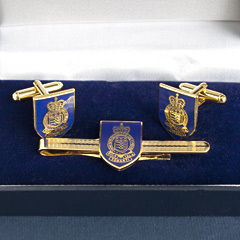 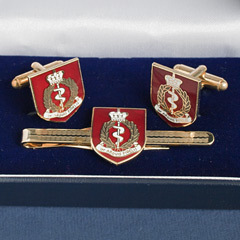 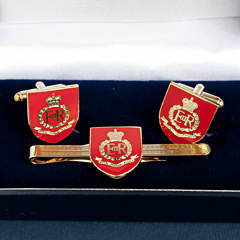 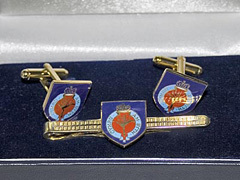 Boxed cufflink and tie slide set for the Royal Army Pay Corps. 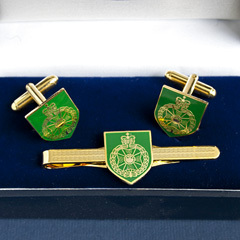 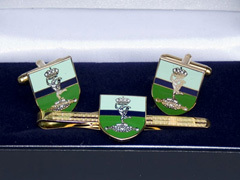 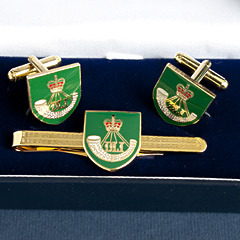 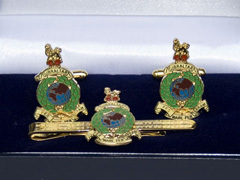 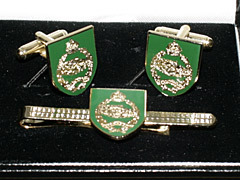 Cufflinks and tie pin (tie slide) boxed gift set for the Royal Green Jackets. 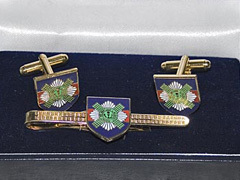 active from 1 January 1966 - 1 February 2007. 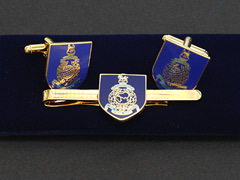 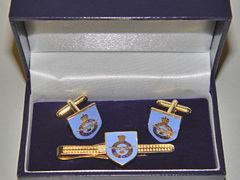 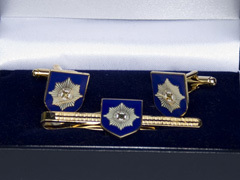 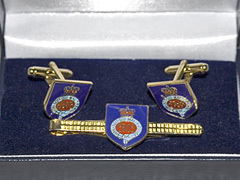 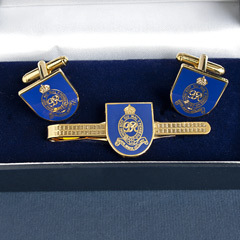 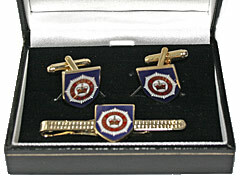 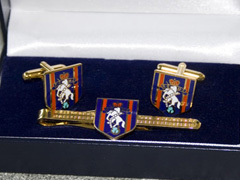 Royal Horse Artillery - RHA, boxed gift set, with blue shield design cufflinks and tie slide (tie pin). 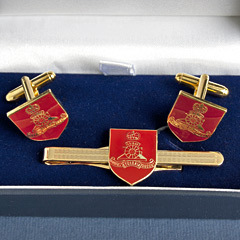 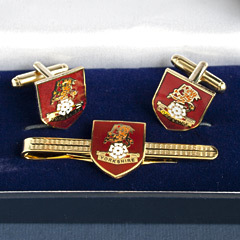 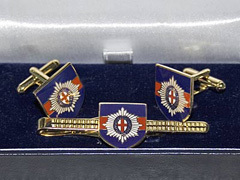 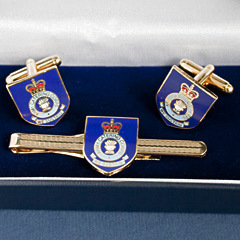 Royal Marines boxed gift set, with the blue shield design cufflinks and tie slide (tie pin). 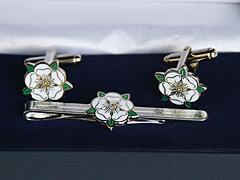 Cufflinks and tie pin (tie slide) boxed gift set with the White Rose of Yorkshire design.